With 1050m of professionally designed race track just ready and waiting to be put to the test, Capital Karts easily boast the longest go karting track in London and the UK. In fact, ours is three times the length of a standard track! 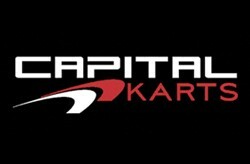 We have designed the Capital Karts experience to offer unbeatable racing, maximum enjoyment and a spot of friendly karting competition, so whether you are celebrating a special occasion with friends and family, planning a corporate day out of the office, or want a stag/hen do with a difference, we can help!